Kukoo G. Singh: Live Indian Entertainment We create the memories of a lifetime. Let us show you how we take events from forgettable to incredible. 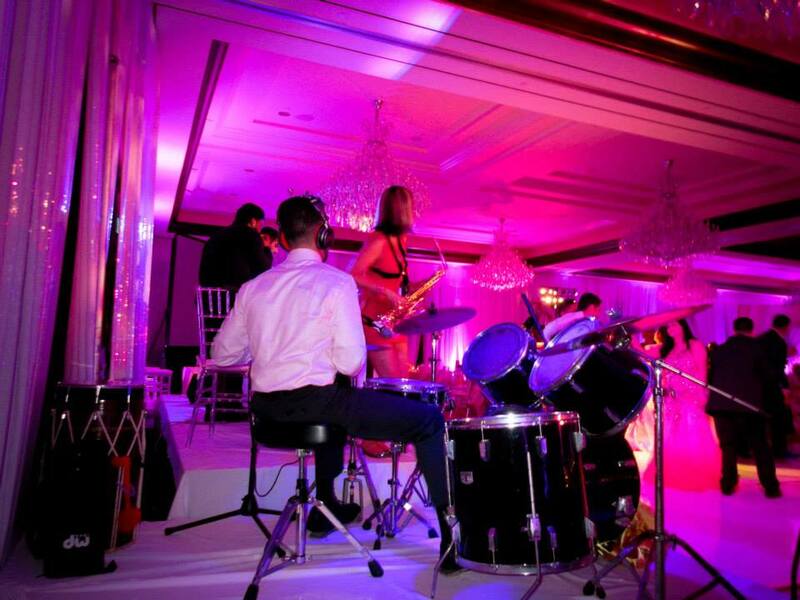 We craft a custom entertainment package for your Wedding, Corporate Event, or other celebration by tapping the talents of expert artists and entertainers. We offer DJ, live Dhol players, Sitar, western musicians, Hindi, Punjabi, and English language vocalists, Bollywood and Bhangra dance troupes. This allows us to create your vision keeping in mind your budget by combining our numerous years of expertise with the final result producing the memories of a lifetime. Do you want to hear friends and family remark years later how much fun your Barat band was as they danced and popped their shoulders? 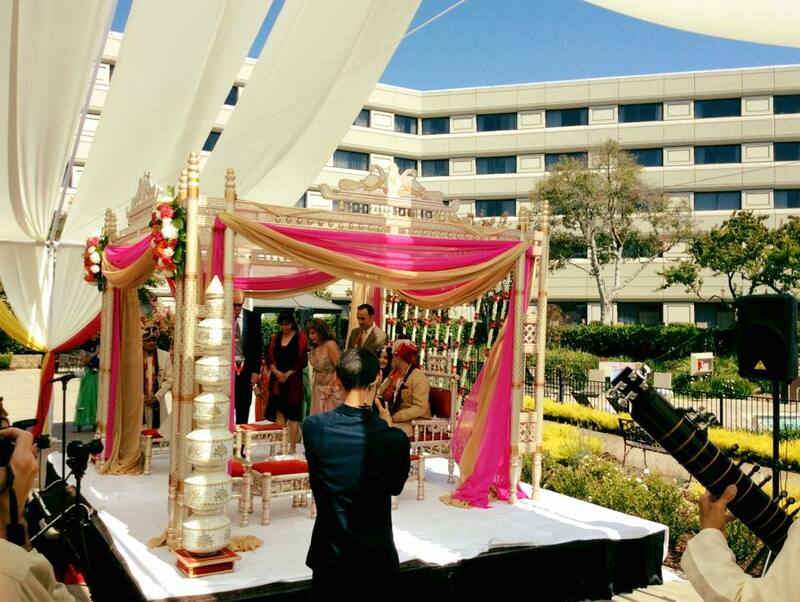 How touched they were hearing the enchanting melodies of live Sitar and Tabla during your wedding ceremony? And how they couldn’t stop laughing during the Bollywood dance lesson or partying with that drunk Uncle on the dance floor as everyone danced in a Desi circle to the live band? Hiring us means transferring entertainment coordination responsibilities to a single entity (Manager Puran Singh). For multi-portion events I personally consult with you in-person, via skype or otherwise to create a custom proposal detailing your entire event with timelines and a description of services to be provided. We also require contracts for all events and we assume the responsibility of arranging all of our various bands, DJ’s, musicians, dancers, etc. We guarantee that we will deliver what we promise and do it with courtesy and professionalism. The more you want or need, the more you save. 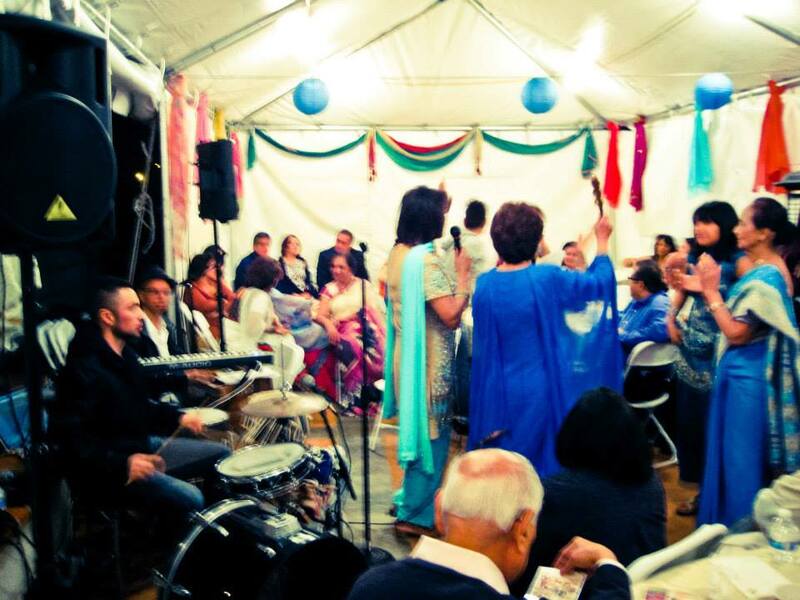 We specialize in large multi-portion events and having your DJ, Dhol player(s), Sitar player, Musicians, Band(s), Dancers, and more under one umbrella means saving countless hours emailing and making phone calls to multiple (often flaky or mismatched) vendors. If your time is valuable, sit back and let us project manage for you. 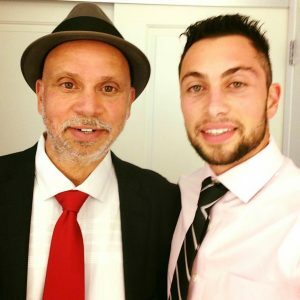 Initially under KGS and now under his son Puran, companies like Apple, Netgear, Etihad Airways, Cirque Du Soleil and countless private clients have trusted us for over thirty years to produce everything from events with thousands of attendees to intimate home parties for close friends and family. 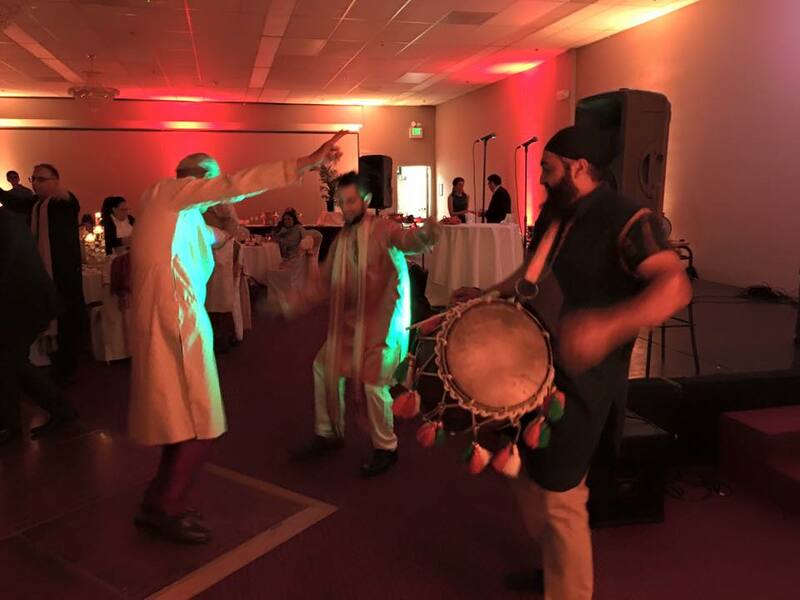 Not only do we produce, organize, and manage – we ourselves perform Tabla, Dhol, DJ, Vocals, Sitar, Drumset and more. I am proud to say unlike most event companies we take pride in doing what we love OURSELVES – both performing with the entire KGS team for our clients as well as entertainment event preparation and coordination. I abide by two golden rules in order to create successful events – extensive preparation and open communication. I do this by preparing a proposal with timelines, detailed service descriptions with video examples of the service(s) to be provided, and package as well as a la carte service pricing. Once both you as a client and we understand what the expectations, budget constraints, and desired outcomes are for an event I keep clients updated about any concerns or issues. We have never had an unsatisfied customer however I promise should any unforeseen circumstance occur to do my utmost to properly rectify the situation. My dad, Mr. Kukoo G. Singh began playing Tabla at the age of 8 under the guidance of his father, my Dada-Ji the late Giani Karam Singh Rasia. 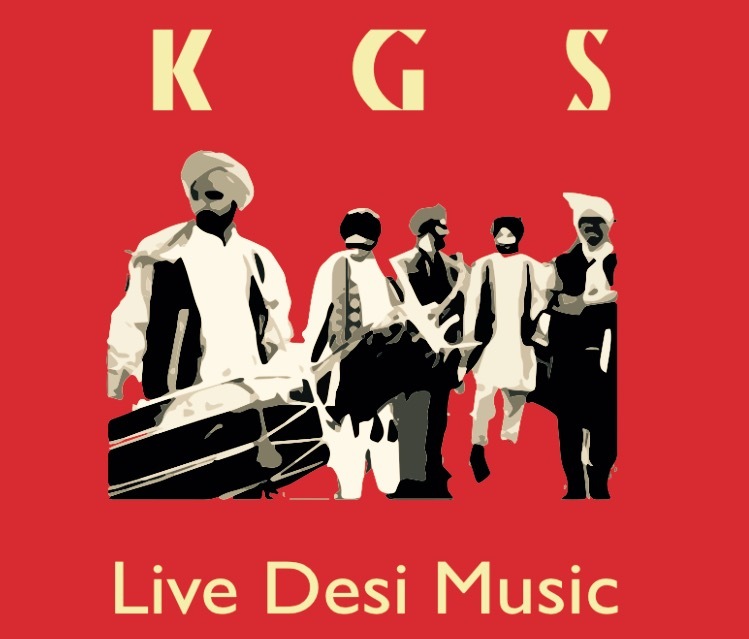 KGS was already performing on television by his early teens and went on to perform Tabla throughout Asia in the Filipino Rock Production of “Mahaal” and later with music legends like Surinder Kaur, Swami Hari Das Giri, Hari Om Sharan, Kuh Ledesma, and giants in genres like Flamenco, Jazz, and Rock. 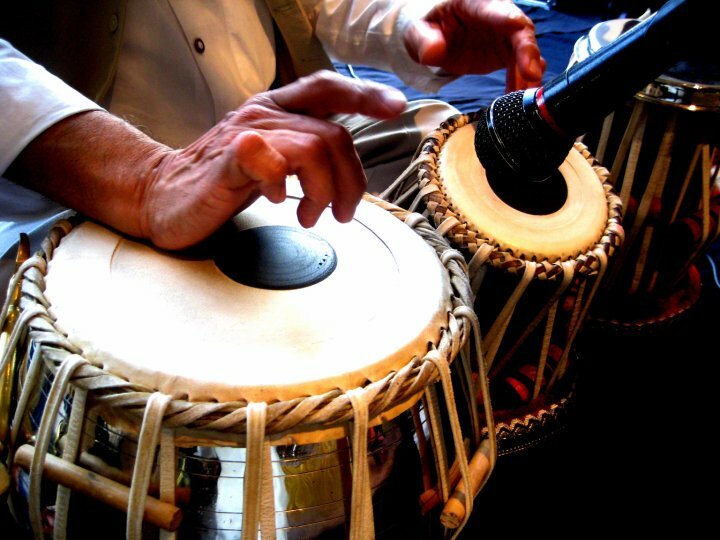 I began learning Tabla and Drumset at a similar young age both at home and academically at San Francisco’s School of the Arts, SF Conservatory of Music, as well as UC Santa Cruz. 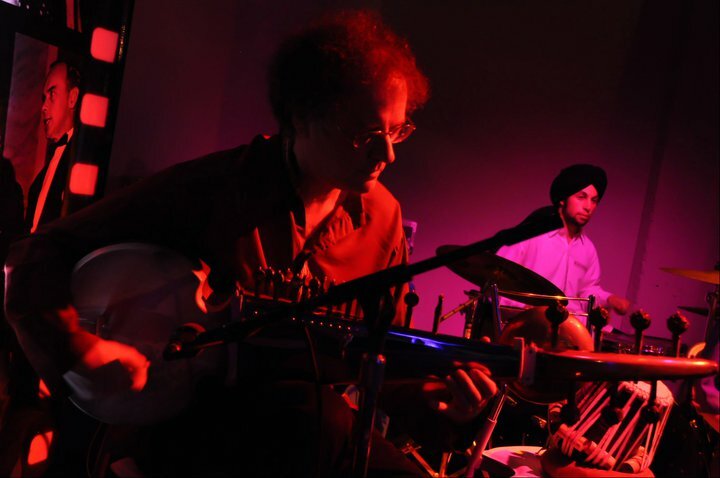 We continue to grow individually as musicians and as a group with a team of highly trained Western and Indian musicians that we regularly practice and perform with. 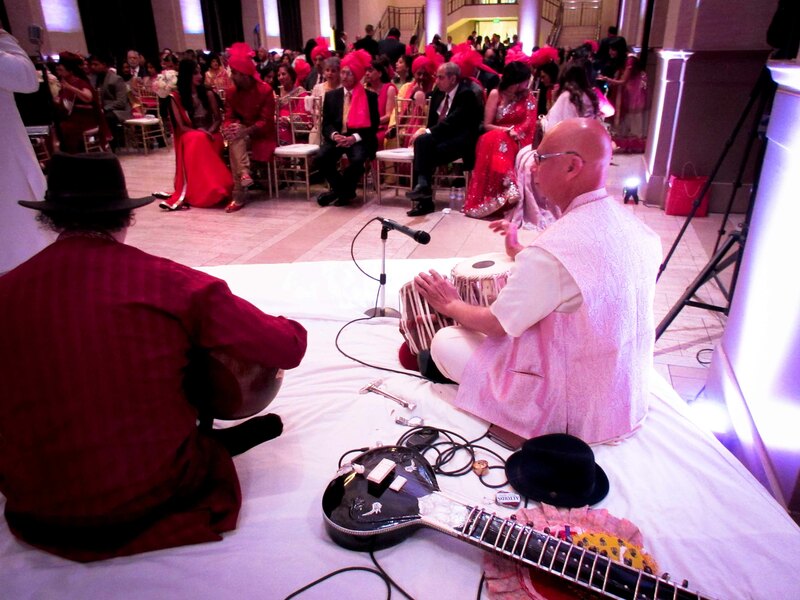 Here are a few photos from our most popular types of events: Baraats featuring our Brass Band, Wedding Ceremonies and Cocktail Hours featuring live Sitar, Sarod, and Tabla and of course DJ, Dhol, our Live Band with Singers, and Dancers for Parties such as Sangeets, Anniversaries or Corporate Events. This is the total KGS experience. This is ideal if you would like entertainment for multiple events at different times on the same day or on different days for your Barat, Sangeet, Mehndi night, Vidhai, Wedding Ceremony, Reception, and other occasions or ceremonies. Essentially we are at your service for anywhere from 3 to 8 or more separate kinds of performances. For example, someone might choose to feature a DJ and Dhol player for one event, the Live Band for another, and light Classical Sitar and Tabla for another event or even back-to-back depending on your needs. You might dance the night away to live Dhol and DJ for a reception and feature a live version of Dilwale Dulhania Le Jayenge performed on Acoustic Guitar for the couple's first dance. 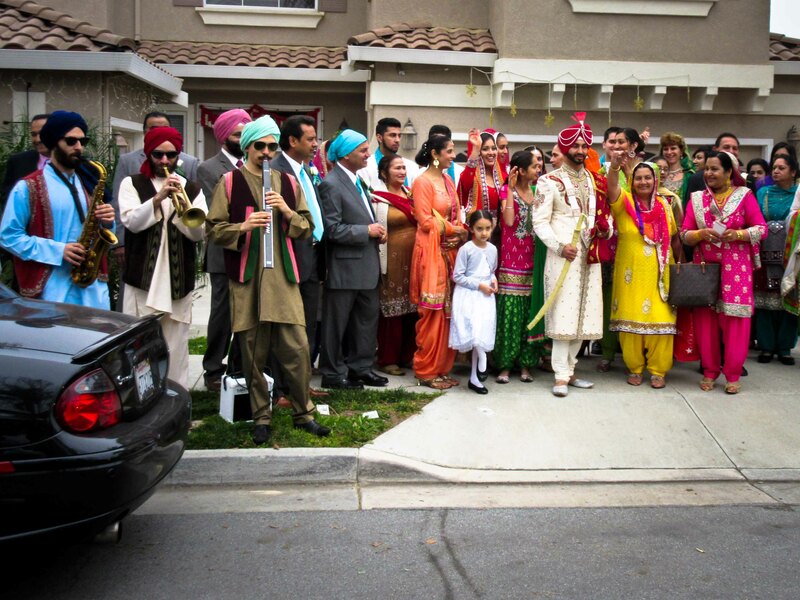 The day before may have featured the Barat Band and live Dholis at the Groom's Home and Ceremony Venue, Gurdwara, or Temple as the Groom's Wedding Party and best men laughed and danced, again for somber music at the Bride's family's home as a Father and his family bid their daughter farewell, and upon the couple's grand return together to the groom's family's home. The previous evening at the Sangeet or Mehndi (often increasingly combined nowadays) may have featured the Live Hindi and Punjabi Sangeet Band making guests dance to live Harmonium, Vocals, Dhol, Drumset and more featuring hits from the 90's, 00's, as well as current Bollywood and Punjabi hits. For the Wedding Ceremony you might opt to feature live Sitar and Tabla during the Pandit Ji's prayers adding emphasis to the prayers and emotions of the moment. Afterwards guests might reflect on the couple that they have known since childhood during the Ceremony Reception or a Cocktail Hour. Many couple's opt for two-in-one type of performance especially for events that might immediately follow one another. 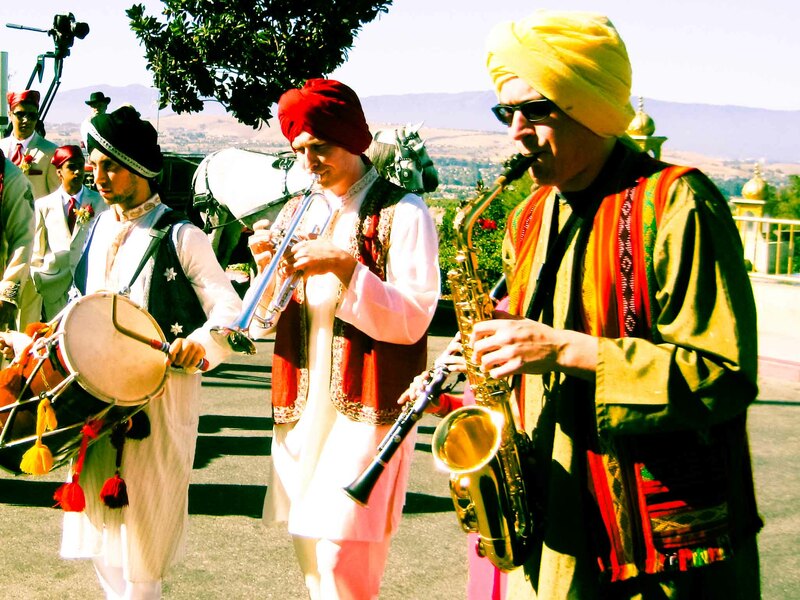 For example we often feature the Barat Band as the Groom's Wedding party makes their entrance to the wedding venue immediately followed by Live, Sitar, and Tabla for a Wedding Ceremony. 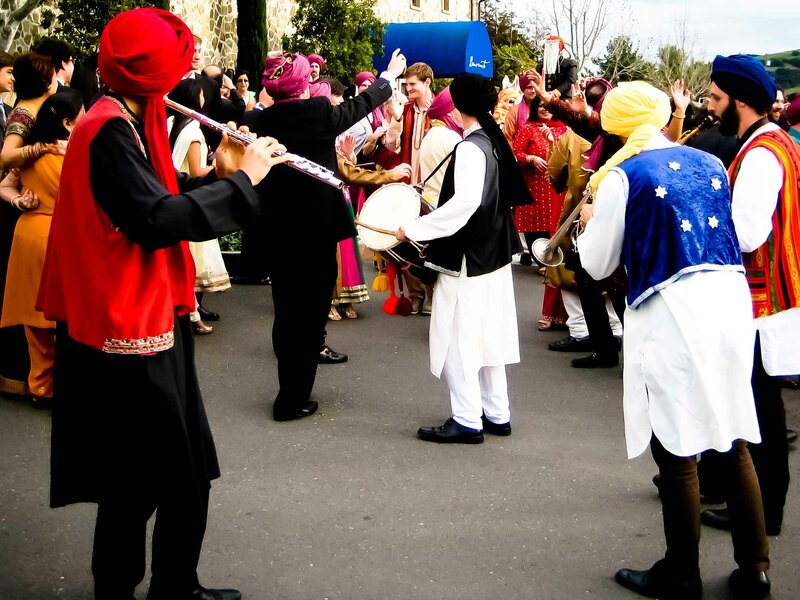 Similarly we are often requested to feature light Classical music during a Reception Cocktail Hour then followed by the live Hindi and Punjabi Sangeet Band or DJ with Dhol player in the main hall. We are proud to offer package and à la carte options for any event. We offer lots of services, check out a list of them here. 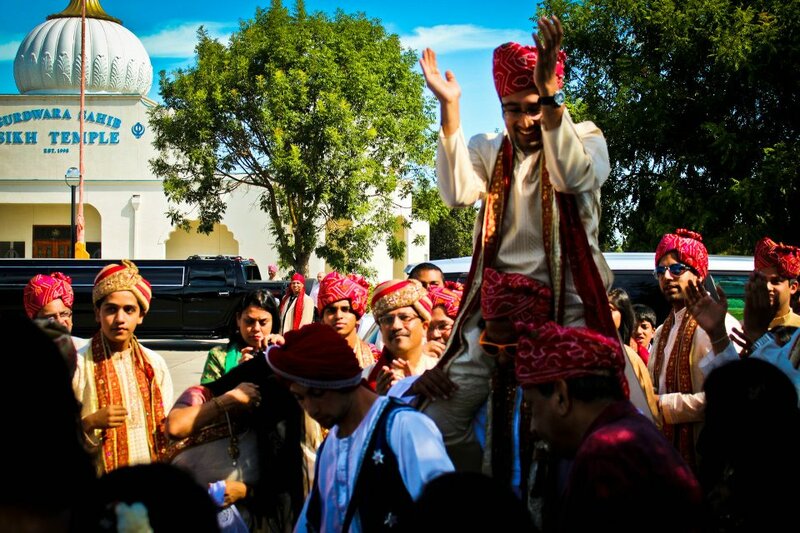 The Barat Band welcoming in the Groom to make an impressive showing to the Bride and her family is one of the most iconic moments of a South Asian Wedding. 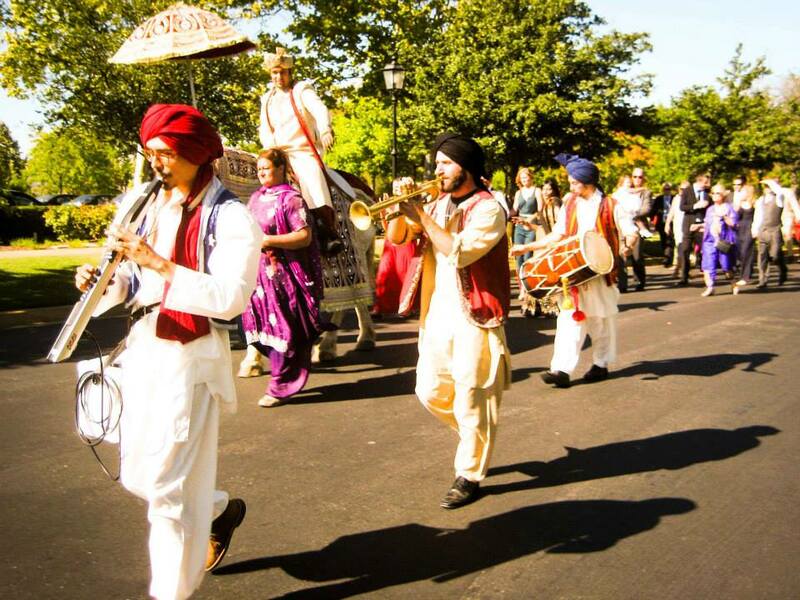 We offer formations from a single Dhol player all the way up to a 7 piece Band with 2 Dhol players and live Bhangra Dancers. 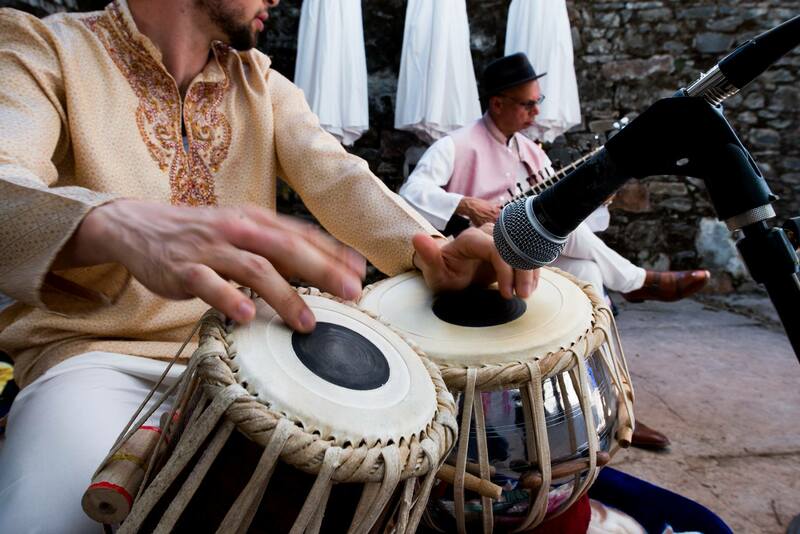 Listening to the melodies of the Sitar or Sarod with accompanying Tabla is a must-have for infusing enchantment and wonder into your reception, cocktail hour, or wedding ceremony. All of our musicians have training from the Ali Akbar Khan College of Indian Classical Music and we provide all of our own audio equipment. A platform or riser is recommended both to appear more visually appealing to guests and out of respect and comfort for the musicians. If outdoors, an awning or umbrella is also necessary to prevent the instruments from going out of tune and requiring constant tuning. Ready to dance and sing a long to a live band performing classics like Ae Meri Zohra Jabeen, Tu Cheez Badi Hai Mast Mast, Mehndi Laga Ke Rakhna, Bari Barsi, Munda Apne Viah De Vich, and many more?. Singers Raja, Nidhi, and Kukoo G. Singh himself are fully backed by a cast of Dhol, Drumset, Saxophone, Bass, Guitar, Tabla, and more to keep your hands up, shoulders popping, and hips swaying throughout the night! 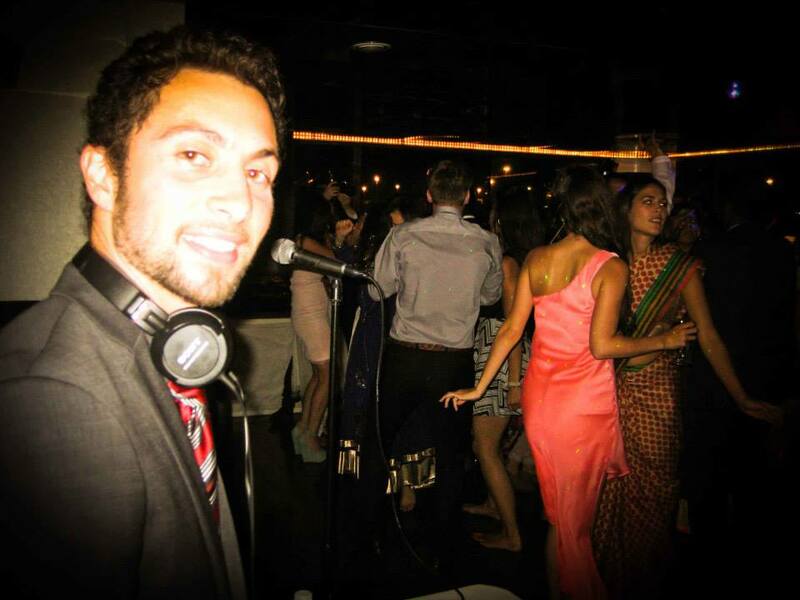 We all know a DJ is critical to both the enjoyment and success of an event. I DJ myself as well as showcase other DJ's if I am performing live with the band. We also perform MC'ing services and provide a custom consultation to ensure we craft the perfectly curated playlist for your event. We are capable of everything from a small home-party set up to a large reception hall featuring uplighting, screens, custom globos and more. Bhangra Dancers add an impressive visual aspect to a Barat, dancing with and energizing the Baraatis as well as alerting friend and foe alike that the Groom has now arrived! 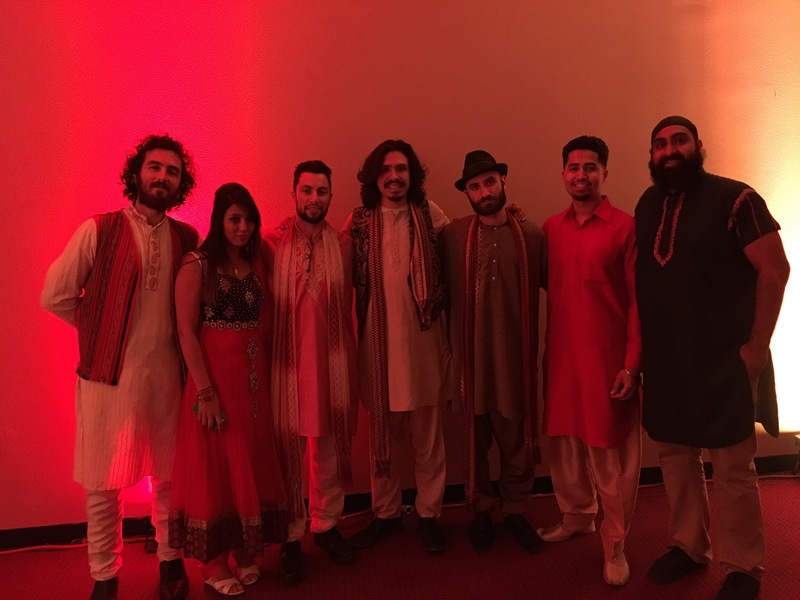 Both Bollywood and Bhangra Dancers compliment a Sangeet or other upbeat event and will provide an impressive visual performance as well as inspire the crowd to get out of their seats and dance! 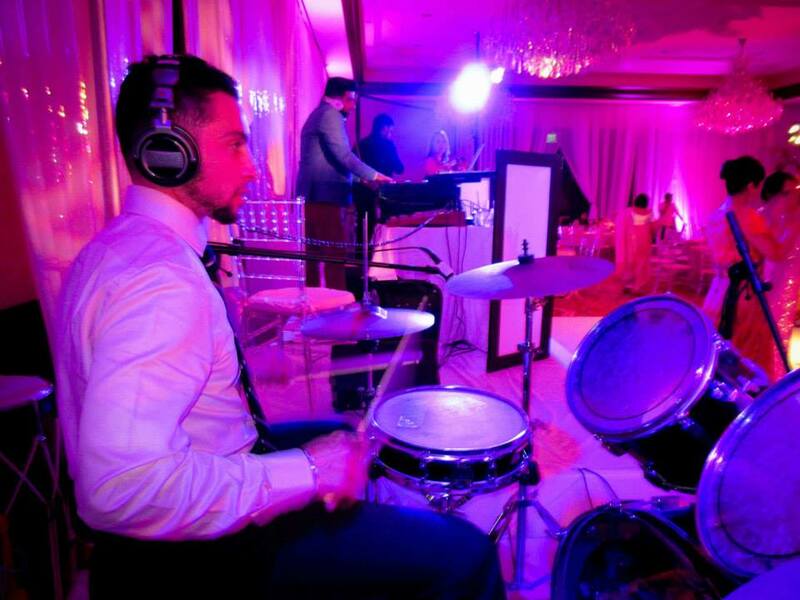 Featuring a live Dhol player along with the DJ is one of the easiest ways to elevate an otherwise standard event and give the guests something to watch and dance their hearts out to. Not only do we provide live music for your wedding ceremony - we also include wireless and or corded mics for your Pandit Ji or other officiant. This has several benefits. The first is of course that your guests will hear what is taking place rather than looking at their watches and wondering when they can eat and second your videographer will be able to plug into our mixer and later sync all of the audio from your ceremony to their film. WINNING. Do you have something unique in mind? If it's possible we will make it happen! We have received requests to perform certain songs such as Dilwale Dulhania Le Jayenge, Tum Jo Aaye, Tum Hi Ho for a couple's first dance or to feature a certain Vidhai song with live vocals, Tabla, and Harmonium. Let us know and we will let you know what we can customize for you. Even more reviews can be found on our Yelp page.